3 styles and 5 sizes! Everyone needs a good pair of mittens - whether they be the classic, the convertible, or the fingerless - this pattern has got you - and the whole family - covered! A simple relaxing knit, with faux seams up the front and back to add a touch of modern style. 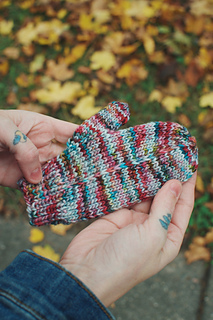 Easily knit up in a night or a weekend & using less than a skein of yarn, these mitts are the perfect fall & winter pattern! Sizes:This pattern comes with sizes for Toddler - Adult Large, with tips on how to get that perfect fit! 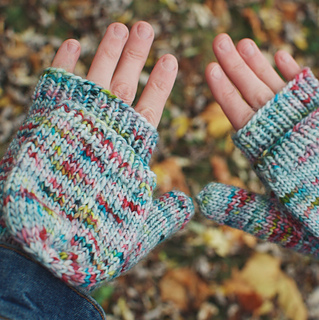 Plus, 3 different style options for all of the 5 sizes offered - full Mittens, Convertible Mitts, & Fingerless Mitts!! Suggested Yarn:House of A La Mode Stunning Single Ply DK can be found the beginning of each month thru the Citizens of Textile Pop-up Shop! To keep up with how & where to get your hands on this beautiful yarn you can follow its creator, Heather Bostic, on Instagram at @houseofalamode and @citizensoftextile!